The two young winners of the 'Olimpiadi Italiane di Astronomia', Silvia Neri (Liceo Scientifico Statale “L. da Vinci”, Reggio Calabria) and Mariastella Cascone (Liceo Scientifico Statale “G. Galilei”, Catania) visited La Palma and TNG from June 19 to June 24. 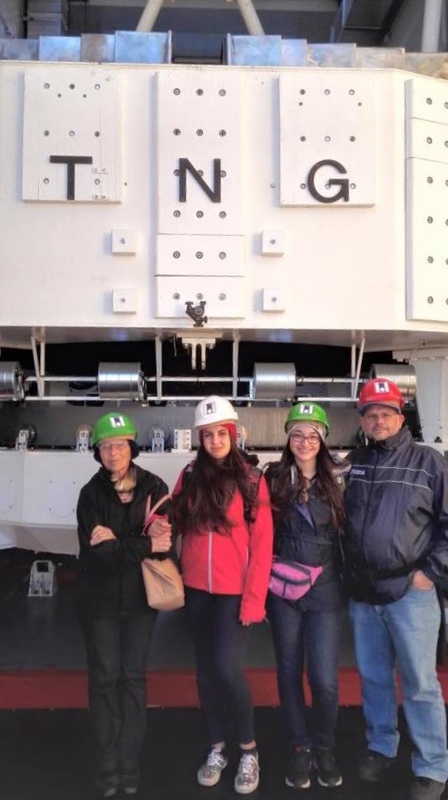 Silvia and Mariastella, together with Gaetano Valentini (INAF - Osservatorio Astronomico di Teramo) and Angela Misiano (SAIt – Planetario Pitagora, Reggio Calabria), thanks to the TNG staff, spent the 21st and 22nd of June visiting the Observatory of the Roque de Los Muchachos, located at 2400 meters above sea level, on the edge of the volcanic crater that dominates the island. Their eyes had the possibility to see moving the largest telescope of the world, the Gran Telescopio Canarias, and were invited to have a complete ORM tour from an open window in the dome of the Nordic Optical Telescope, while the operator was letting the dome have a panoramic 360 degrees turn. Silvia and Mariastella, together with their tutors, spent the afternoon and the first part of the night of 21st of June at the TNG, meeting the staff and familiarizing with the observation tools. There, just after the sunset, they became astronomers for one night using DOLORES@TNG (Device Optimized for the LOw RESolution) to observe three different astronomical objects: the Lovejoy Comet, the star Feige66 and the globular cluster M13. 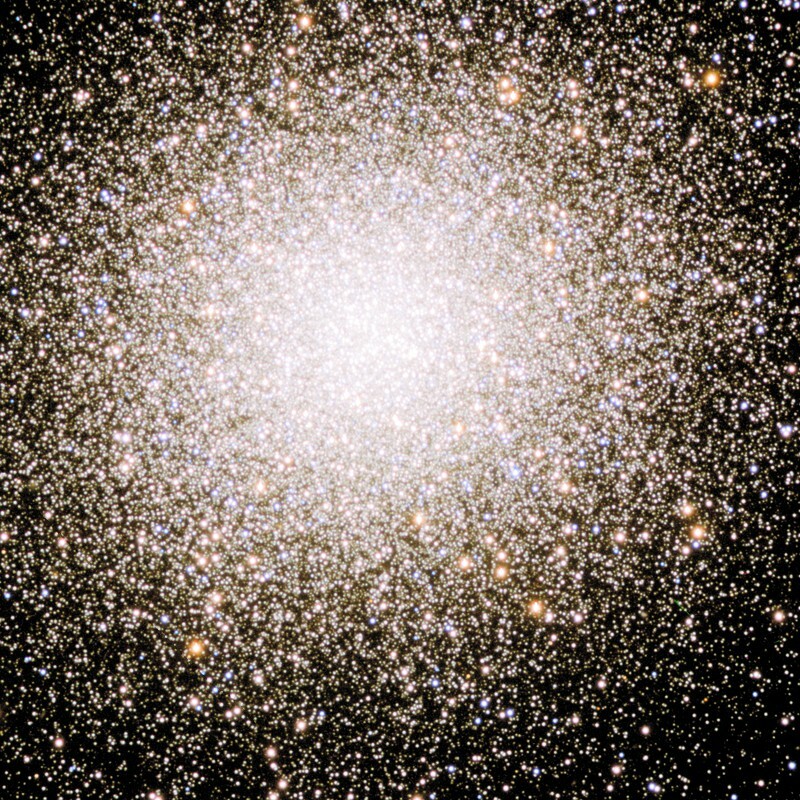 The same filters have been used to create the V-BV Color Magnitude Diagram for the globular cluster M13. 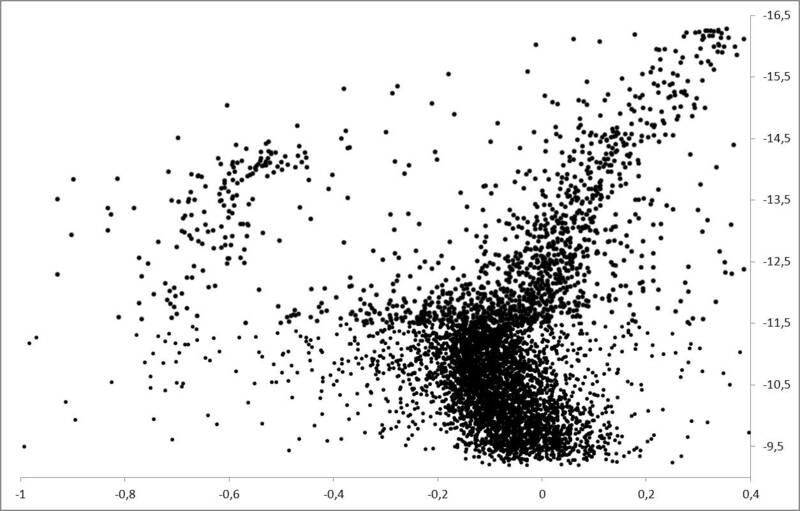 In particular, using the same data, Silvia and Mariastella had the possibility to create the very initial part of the light curve of some variable stars for this cluster. To conclude their time at the telescope, Silvia and Mariastella asked the staff for a spectroscopy lesson using LRS. Thus, they learnt about spectroscopical observations, observing the standard star Feige66. At 01.00 o'clock, just before reaching the rooms of the Residencia that for one night hosted these special visitors, the two young winners of the Olimpiadi spent their last hours at the Roque de Los Muchachos looking at the magic sky above the TNG. The stage at the TNG is part of the Olimpiadi Italiane di Astronomia 2015 sponsored by the Ministero dell'Istruzione, dell'Università e della Ricerca (MIUR), organized and sponsored by the Società Astronomica Italiana (SAIt), the Istituto Nazionale di Astrofisica (INAF) and the Fundación Galileo Galile - INAF. The TNG and the guys of the 'Olimpiadi Italiane di Astronomia'. From left to right: A. Misiano (teacher), the two winners: S. Neri, M. Cascone and G. Valentini (astronomer). A very preliminar V-BV CMD for the globlular cluster M13 (LRS@TNG). Credits: M. Cascone, S. Neri, G.Valentini. Three color images in the BVR filters taken with LRS@TNG. 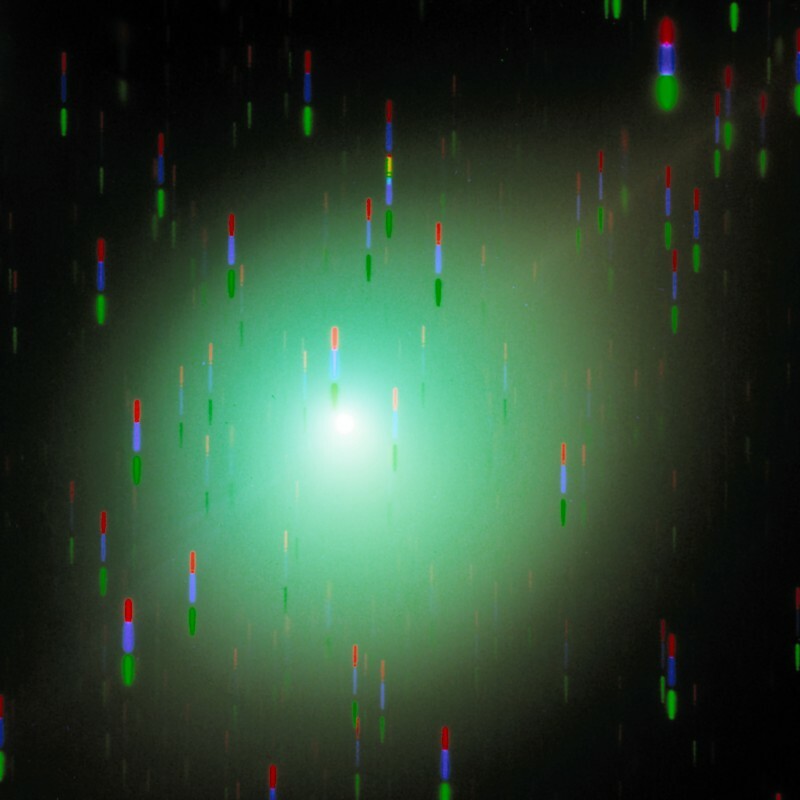 Left: the Lovejoy comet; Right: the globular cluster M13. Credits: M. Cascone, S. Neri, W.Boschin/FGG.